Smart USB Charger for your rc helicopters and quadcopters! I’ve found that charging my toy rc helicopters and quadcopters with the Anker USB chargers works best. 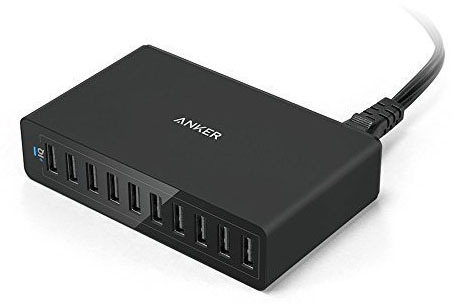 Most USB ports on computers and phone chargers have a one charge rate designed for that device. 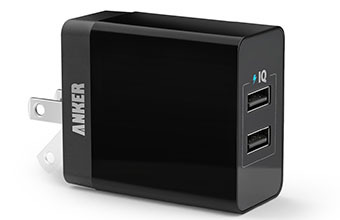 What makes the Anker USB charger so great is the “PowerIQ” which will determine the best way to charge your toy. 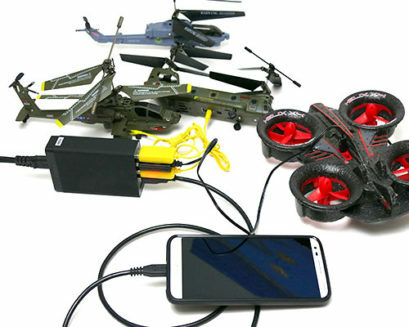 Most smaller helicopters and quadcopters come with a USB charger so it’s convenient when you want to charge more than one toy at a time. Extra USB chargers are always welcome and there’s no better one out there.